I was a little skeptical when the innkeeper told me about the trail leading behind the Wharf Master’s Inn to the new Point Arena-Stornetta unit of the California Coastal National Monument. 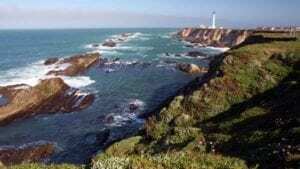 The photos I had seen of Point Arena-Stornetta showed wide-open swaths of coastal prairie edged by steep, rocky cliffs that plummeted into crashing waves below. We were standing on the inn’s sundeck, overlooking the wharf and the placid waters of Arena Cove. “Just back there?” I asked, pointing to a dense cluster of cypress trees on the hillside behind the inn. “Yes, just up past the trees. You can walk all the way to the lighthouse,” said Deborah Housen, referring to the 115-foot Point Arena Lighthouse, which is the tallest on the West Coast. “How far is it to the lighthouse?” I asked. 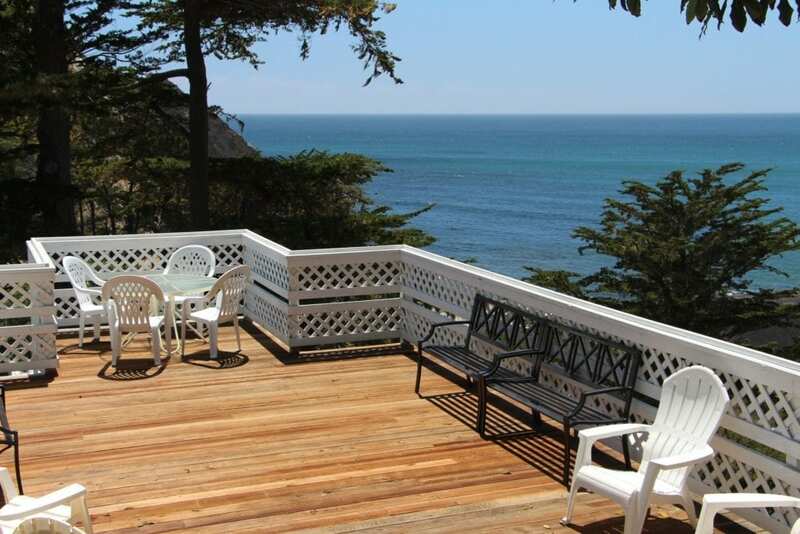 Most visitors to the Wharf Master’s Inn and this sleepy enclave on the Mendocino Coast would be content soaking up the views of Arena Cove and its working wharf. 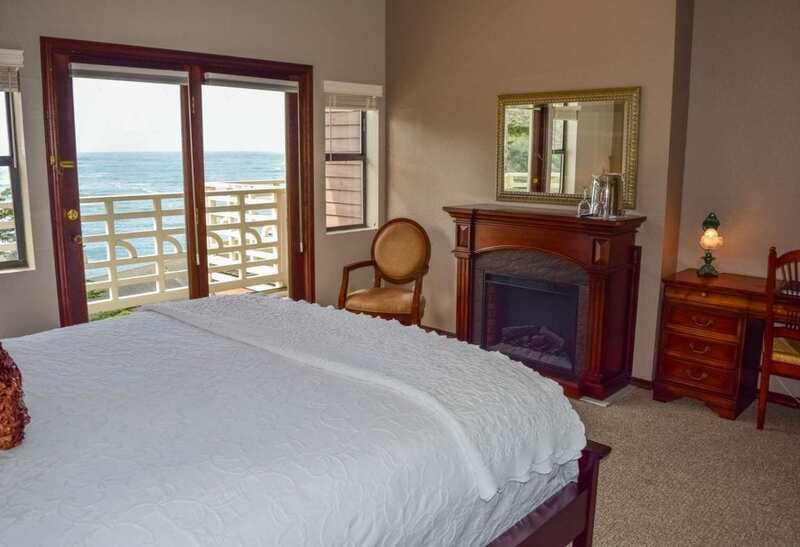 From the inn’s high perch on a bluff above the sea, you can lounge on the sundeck or one of the guest room balconies and watch the ebb and flow of the waves. Most afternoons, you’ll find fishermen selling their morning catches in the wharf parking lot below. When the waves are good, you might see a few local surfers paddle out. A trio of cafes near the wharf attract a small crowd at different points throughout the day. Cove Coffee & Tackle is a locals’ hangout serving breakfast and lunch. Pizzas & Cream is the place to go for ice cream. The Pier Chowder House & Tap Room serves 31 beers on tap along with a collection of local Anderson Valley wines. Despite their proximity to Highway One, historic Arena Cove and the Wharf Master’s Inn are far from the beaten tourist track. About 130 miles north of San Francisco, many travelers passing through Point Arena (population 473) are on their way to somewhere else. Most would never notice the turn-off for the mile-long road leading down a canyon to the wharf, but it’s a turn worth taking. The inn itself is centered around the historic home of the town’s original wharf master. 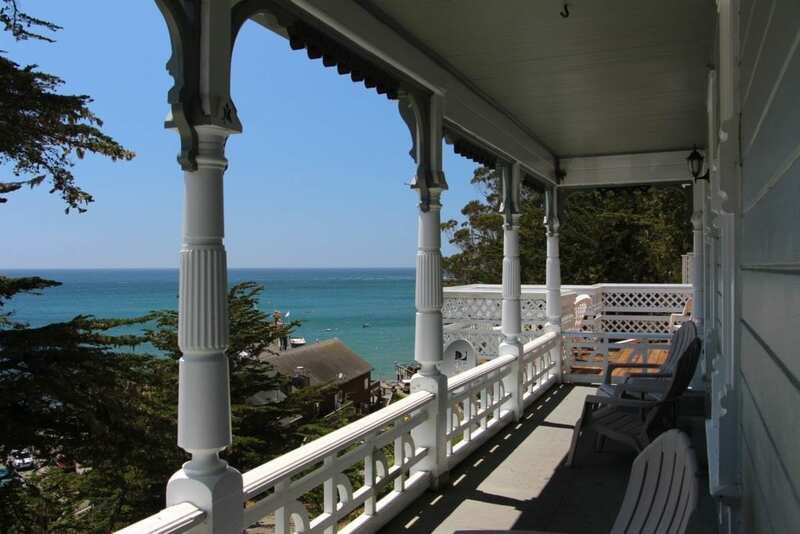 Built in 1865, the ornate Victorian is the oldest home in Point Arena and houses two of the inn’s suites: the East Lake suite and the Wharf Master’s House. 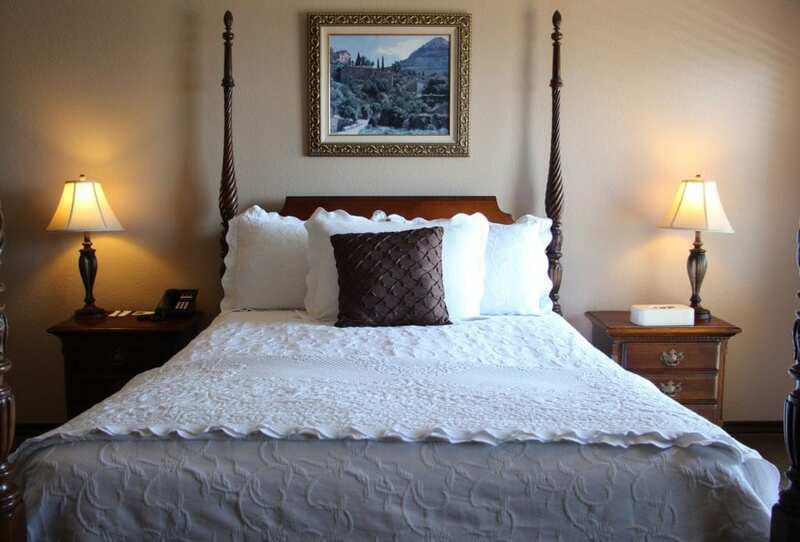 The other guest rooms and suites are located in one of four buildings surrounding the historic home, many with the same stunning views. Nearly all of the rooms feature gas fireplaces, Jacuzzi tubs, and four-poster beds with cozy featherbeds and white matelassé coverlets. 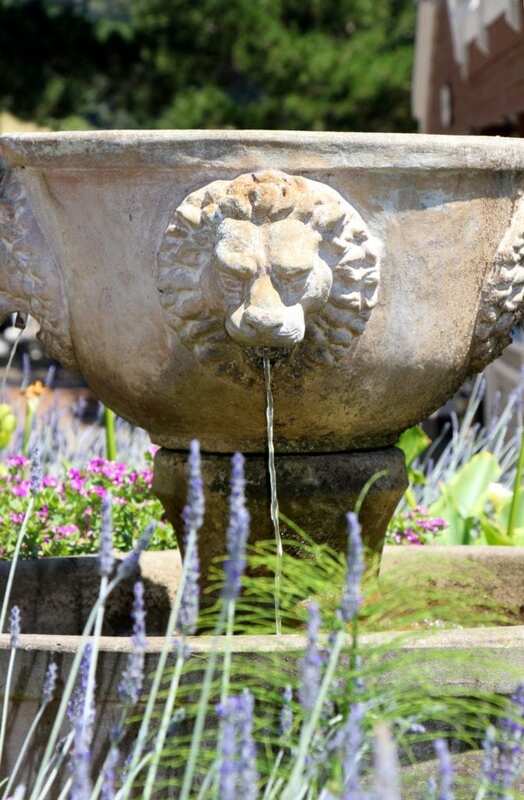 A garden courtyard with trickling fountains and wood sculptures backs up to the cypress-cloaked hillside. And just beyond the top of the hill lies the California Coastal National Monument’s latest addition: the Point Arena-Stornetta Public Lands. Point Arena-Stornetta made national headlines in March 2014 when President Obama designated the 1,665 acre coastal tract the first land-based portion of the California Coastal National Monument. The national monument protects some 20,000 rocks, reefs, and islands along the 1,100 mile California coastline. 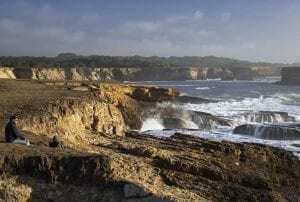 The president’s designation expands the monument to include Point Arena-Stornetta’s dramatic shores, tide pools, coastal prairies, and Garcia River estuary. This protected stretch of coastline is home to a variety of shorebirds and animals, as well as the endangered Behren’s silverspot butterfly. Through the winter months, you can catch sight of whales migrating just off shore. From the inn’s courtyard, I climbed up past the trees and quickly found the main trail leading from Point Arena City Hall. I headed west along the grassy cliffs that had been a privately-owned ranch just a few years prior. I was treated to an incredible view looking back at the wharf and Arena Cove. A little further along, I found enchanting sea arches and hidden coves, rocky shelves jutting up from the sea at surprising angles, and frothy waves crashing and cascading over the rocks. Off in the distance, the gleaming white tower of the Point Arena Lighthouse rose above water and the cliffs. You could easily drive to the lighthouse from the inn. But walking the rugged bluffs along this newest stretch of the California Coastal National Monument is far more awe-inspiring. The second and seventh photos courtesy of the BLM. Fifth photo courtesy of the Wharf Master’s Inn. All others by Ranee Ruble-Dotts for CABBI.